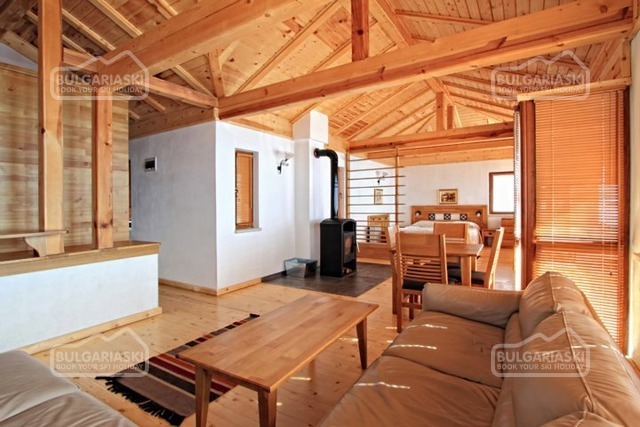 Location: Guest house Rhodope Nook is located in Chepelare resort, on the border between urban life and the pine forest. 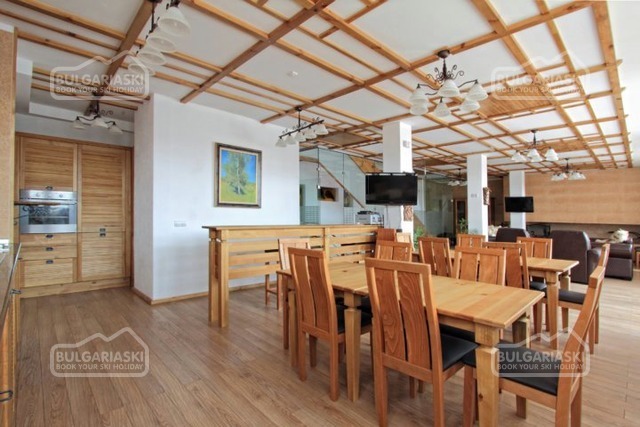 It is 1139 meters above sea level, with incredible panoramic views of the city. 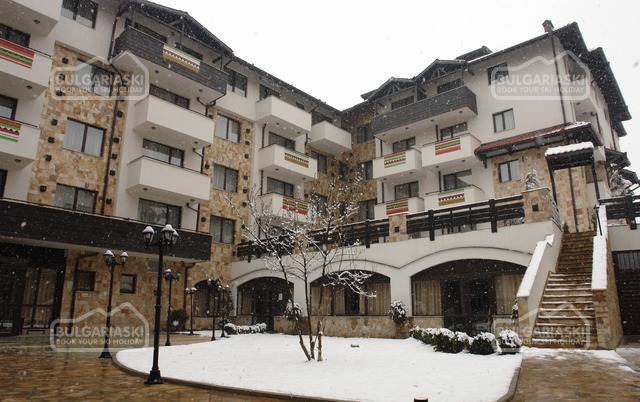 The hotel is situated 2 km away form the ski area of Mechi Chal. Accommodation: The hotel features 7 double rooms, family apartment and an exclusive apartment. 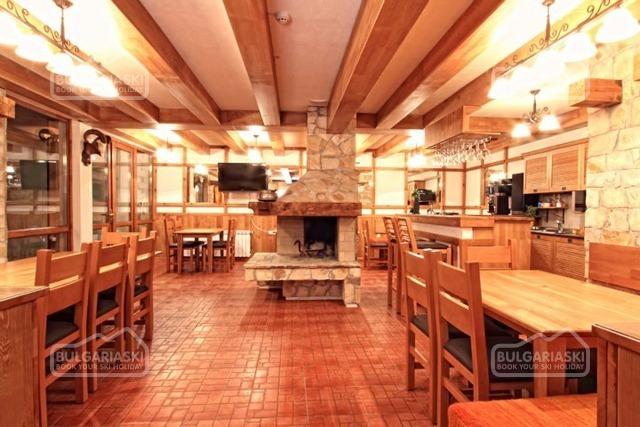 The spacious guestrooms are furnished in local Rhodope style. The rooms offer Internet access, cable TV, bathroom. The Family Apartment consists of a bedroom and a living room. The Exclusive apartment is located on the top floor. It offers stunning panoramic view. 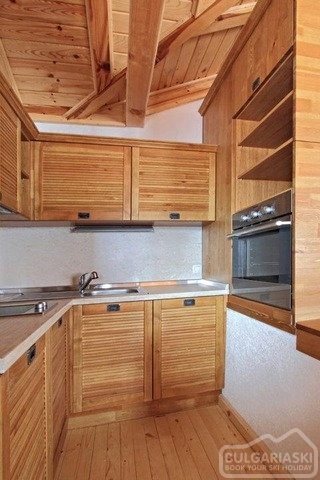 There is a fireplace and kitchen in the apartments. 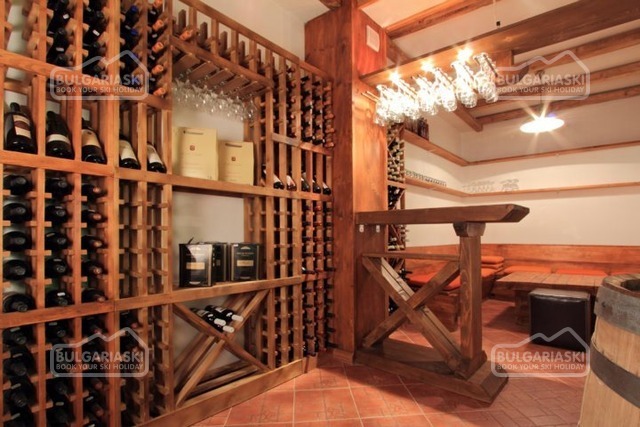 Wine & dine: The hotel offers a tavern in authentic style /25-30 seats/ with a kitchenette and a fireplace, a wine cellar and an outdoor barbecue. Spa cenre: The small SPA Center offers Jacuzzi, sauna, steam bath, fitness hall, massage room. 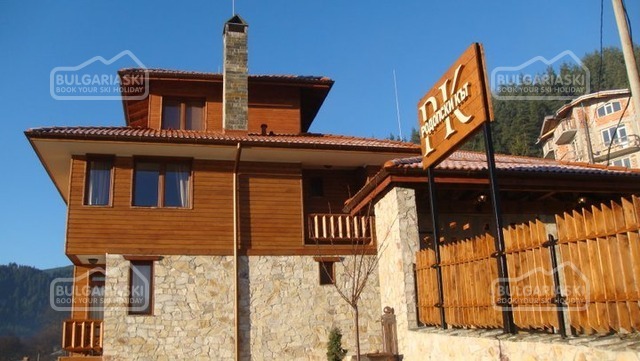 Please, post a comment on Guest house Rhodope Nook. Cancellations can be made, providing details and prior to check-in time on the day of arrival, at least 7 days before arrival. Cancellations made after this period will incur a penalty fee - 50 % from the total cost of the package.